Everything is good. The only thing is bathroom clogging. Love the check in process. Can check in as early as we just arrived at 10am. The staff very friendly and helpful. Love the location and breakfast. The room is nice and bed is comfortable! Thanks for patroning us..we checked in early as our bus arrived early to kchg,not many hotels will receive but this hotel kindly accept us. Great breakfast, and best location in Kuching to enjoy food and local market just visit by foot. Very nice hotel and 5-Star comparable. I haven't come across a hotel this cheap parralled that of 5-Star Hotel. 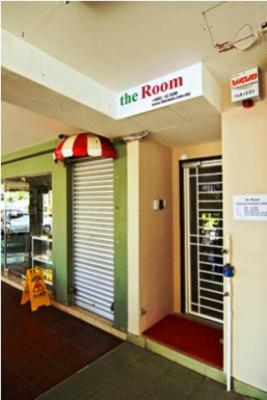 Great location, cheerfully staff, tasteful breakfast, very clean & comfort room even without window. Great hotel after refurbishment. Rooms are clean n bright. Linens are clean. Check in was fast n smooth. Staff are friendly n efficient. Location was perfect. Near to Kuching Waterfront. Convenient store just around the corner. Walking distance to Carpenter street, Wayang street & Padungan. High recommendable. RWMF pick up point. Efficient n fast. I stayed for one night on the 10th Floor. The view of Sarawak River and Mount Santubong is stunning and breathtaking. We have a great stay in this property! The most affordable price with various rooms at higher discount to be compared than other hotels. I love it. the location is near to local food, new hotel and clean. Very satisfied with the hotel, comfortable and convenient in city center. Staff was very helpful and the environment really beautiful. Worth to stay few nights there. nice peaceful place.. relax and clean.. friendly staff. We spent there only one night on our journey to another location and we regret that. It is very homey, clean hotel with friendly staff. We are advising it 100%. I definitely recommend this place to my friend. I will come again for my 2nd stay. It is very clean and comfortable but the washroom is a bit smelly. Little bit noisy midnight because there is a food court downstairs. Worth every penny we spend, Every thing was nice and tidy, Food, Internet, Cleanness, Staff respond very fast, Location was great for me and others who was with me. Thank you Penview I will back to stay there when I travel to Kuching. counter staff is very good allowing me to check in early.the boss is very good . Kuching is one of only a few cosmopolitan cities on the island of Borneo. It’s the capital of the Malaysian state of Sarawak and offers tourists access to Borneo’s jungles without forcing them to sacrifice amenities and service offered by comfortable hotels in Kuching. This is the most popular place for tourists to come together in Sarawak, and there are several notable attractions in the city. Fort Margherita was built in the late 19th century and offers pleasing views over the Sarawak River. Other highlights include the Sarawak Museum and the temples of Hong San, Sang Ti Miao and Tua Pek Kong. Shoppers in Kuching can peruse fresh produce and locally made handicrafts at the weekend market, or they can head to the modern shopping centers of Boulevard Mall, Sarawak Plaza and The Spring. There are also souvenirs stands and gift shops in the shophouses of the Main Bazaar or on Jalan India. Kuching has plenty of big-city atmosphere, but it’s still compact enough to see on foot. The Kuching Waterfront has been recently redeveloped and is a lovely place for a morning or evening stroll. The best four- and five-star hotels in Kuching are located here on the riverside, and the best rooms enjoy views of the Bungo Mountains. Kuching is also known as Cat City. There are cat statues all over the city and one popular attraction there is the cat museum full of feline memorabilia.